Opelika Main Street’s third annual “Downtown Loves You Back Week” will be held July 30 – Aug. 3. 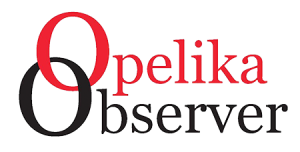 Interim Opelika Main Street Director Dana Gafford said the event will feature special sales and discounts from participating downtown merchants, and it serves as a distinct nod to the patrons who help make their existence possible. “The purpose of this event is just to give downtown merchants a chance to express their thanks to the community for coming downtown and patronizing their shops,” Gafford said. Through events like these and others, Gafford said she believes the future of downtown Opelika grows brighter daily. For more information or updates, follow the organization on Facebook and Instagram.